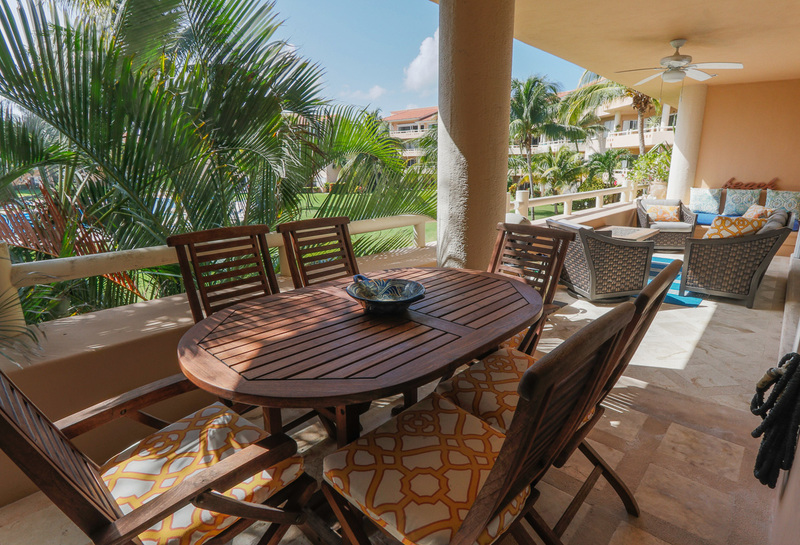 La Buena Vida means the "the Good Life," and you'll understand why when you see the panoramic ocean view and feel the breeze on the terrace! 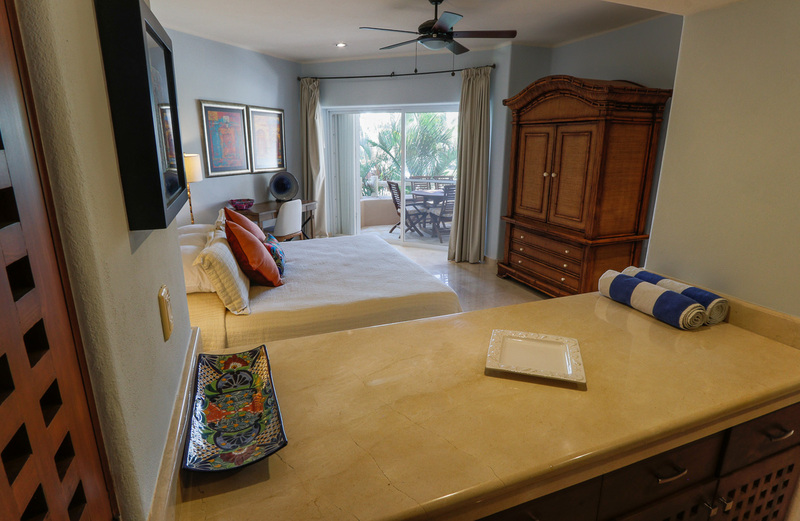 Upon entering this 2 bedroom 2 1/2 bath condo, the first thing that catches your eye is the window wall that runs that full width of the living room and provides access to the large balcony where coconut palms, landscaped tropical grounds, blue skies, and the Caribbean Ocean that greet you with open arms. 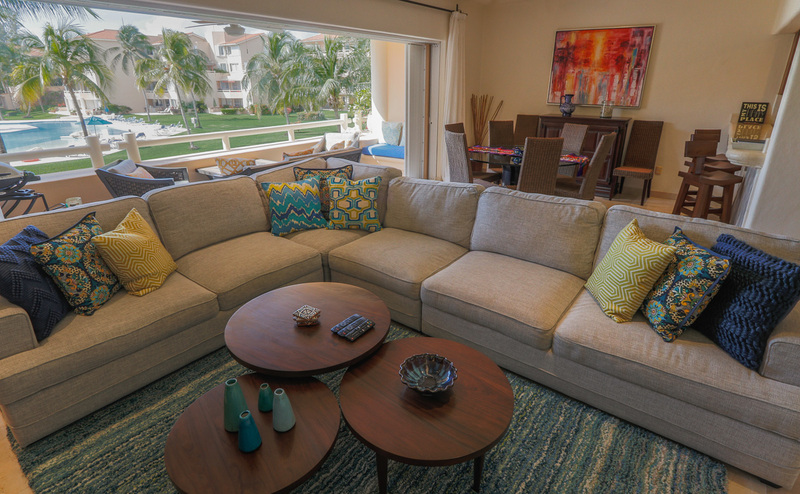 The spacious ocean-view living area is outfitted with a large couch and two Tommy Bahama woven chairs. 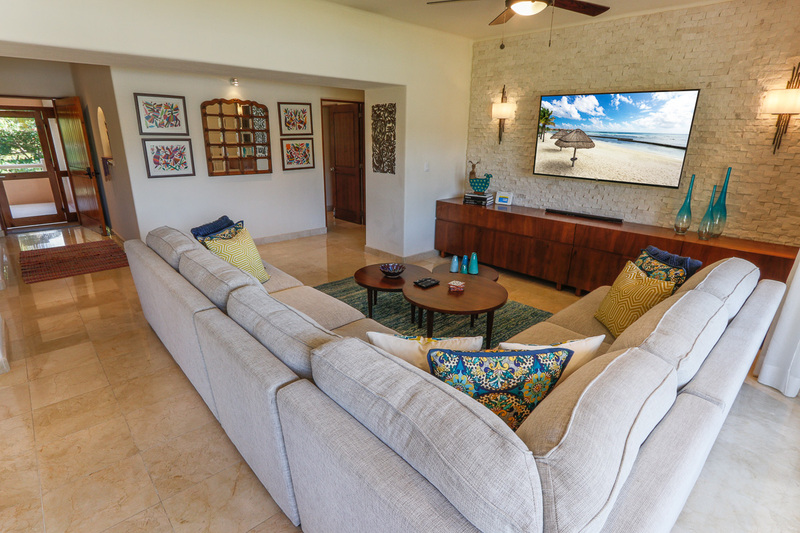 It also boasts a brand new, 46-inch Smart TV with access to Netflix, and other apps that can be used to download your favorite TV programs and movies, while the LG sound bar with Bluetooth technology will play favorite music. 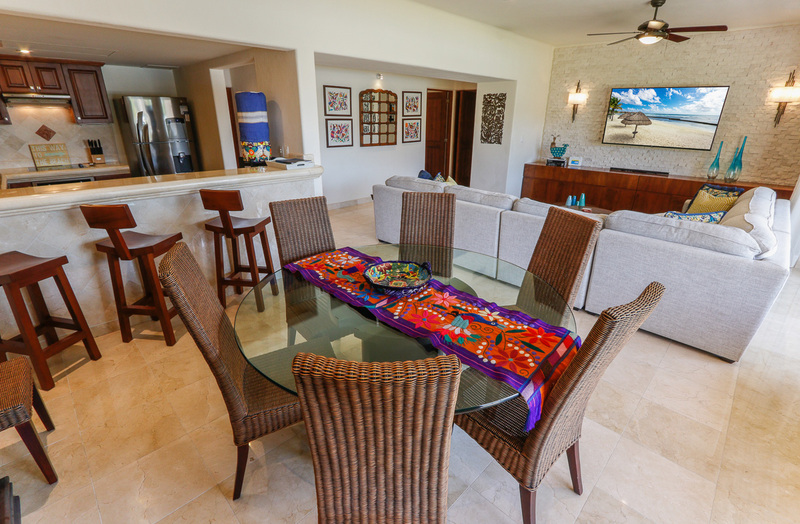 The living area shares the open floor plan with a dining area that seats eight people. 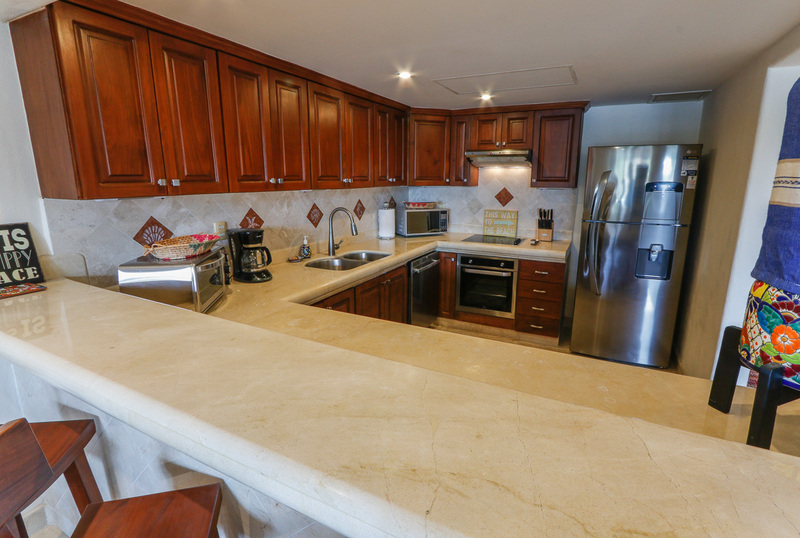 A fully-equipped kitchen has everything you need to make gourmet meals, including a brand-new, full-size refrigerator, oven, and dishwasher. 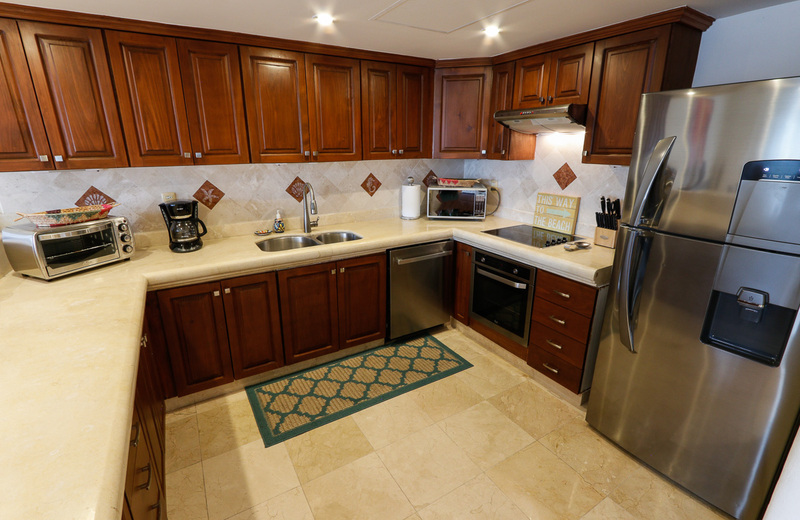 The small appliances (which are new too) include a coffee maker, blender, and toaster oven. The outdoor balcony seats six and has additional seating as well as a large Weber Q gas grill. 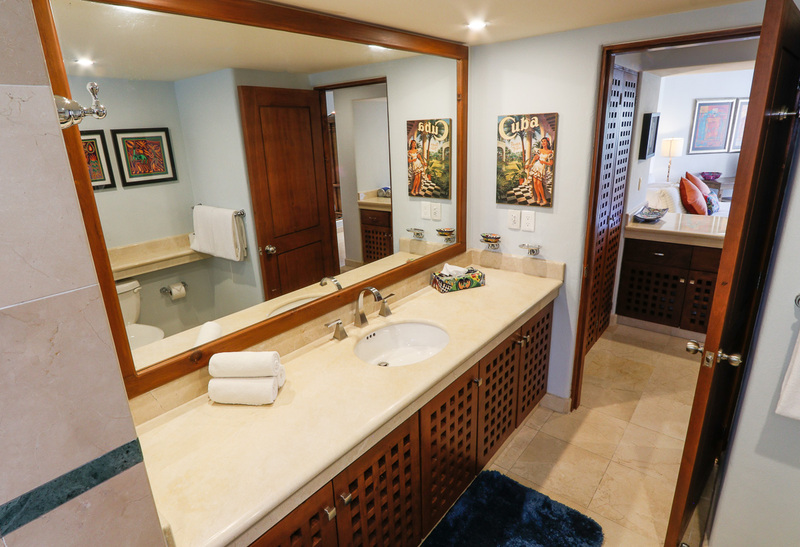 The ocean views and tropical easterly breezes will entice you to spend plenty of relaxation time there! 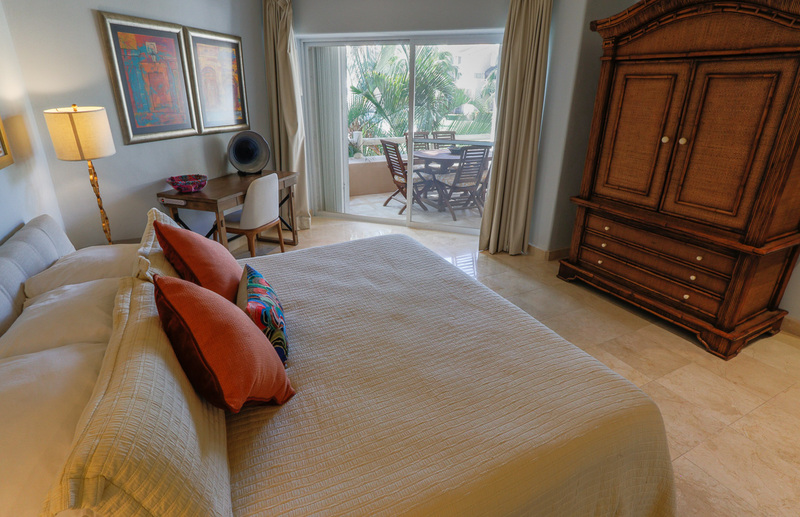 The spacious master bedroom has a king size bed with all new linens. 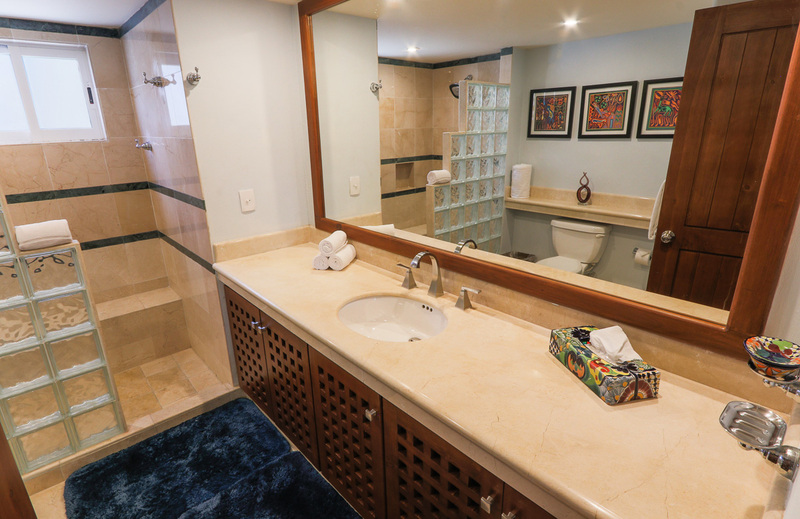 It also boasts a large private bath with a marble/glass block shower, a separate dressing area, plenty of closet space, and sliding glass doors to the large terrace. It also features a Flat Screen TV with satellite service as well. 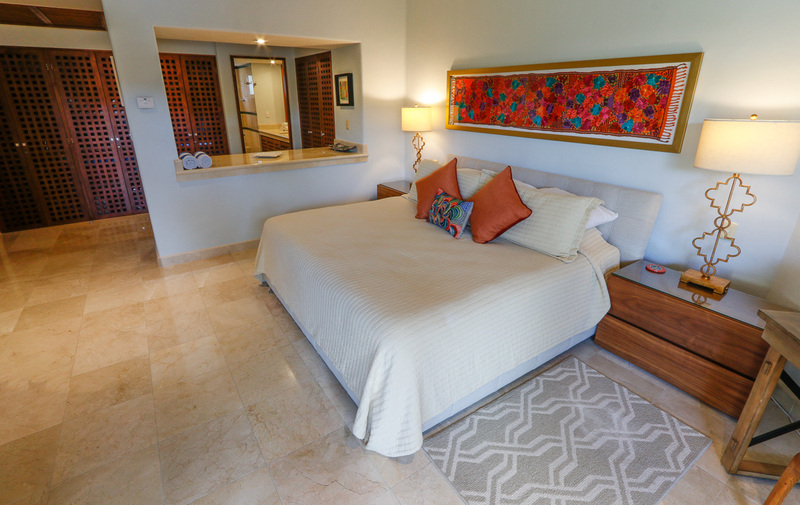 The guest bedroom, which also features all new linens and blackout shade, has two queen sized beds and an en-suite bath with a glass block and marble step-in shower, Flat Screen TV with satellite service, Netflix and ample closet space. 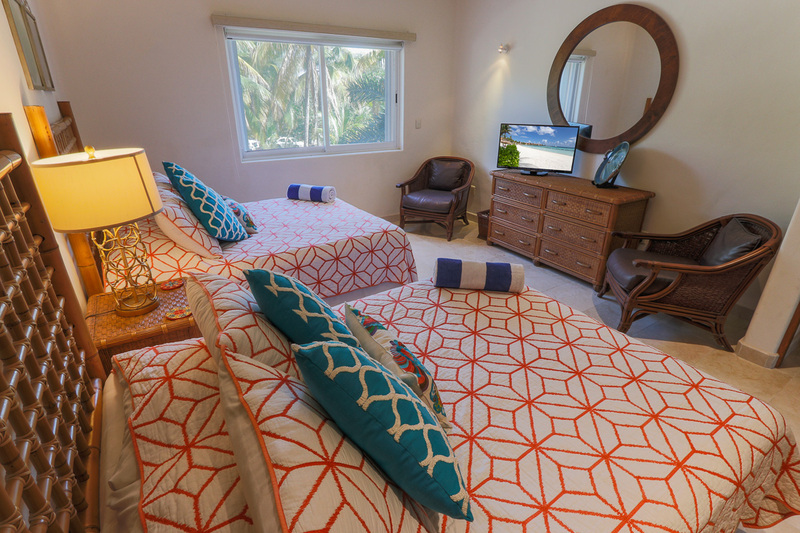 Both bedrooms have ceiling fans and individual mini split zone controlled A/C units. 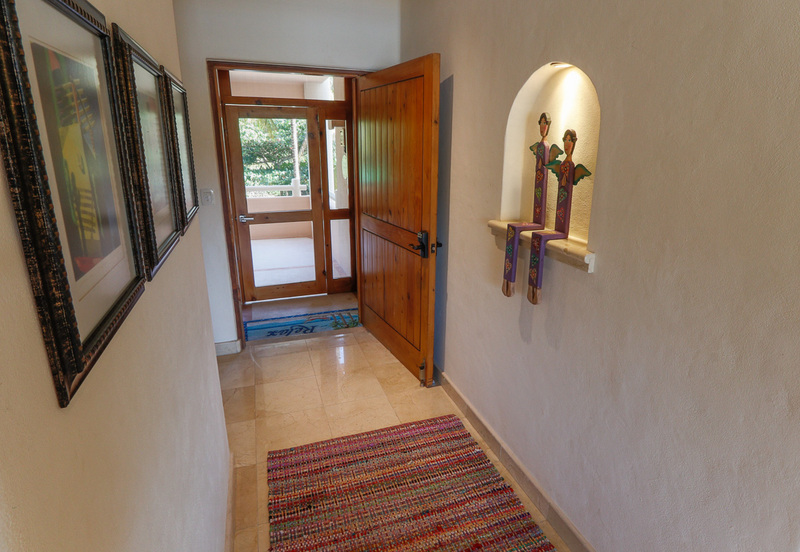 There is a half bath near the front door entrance and a utility room with a washer/dryer. 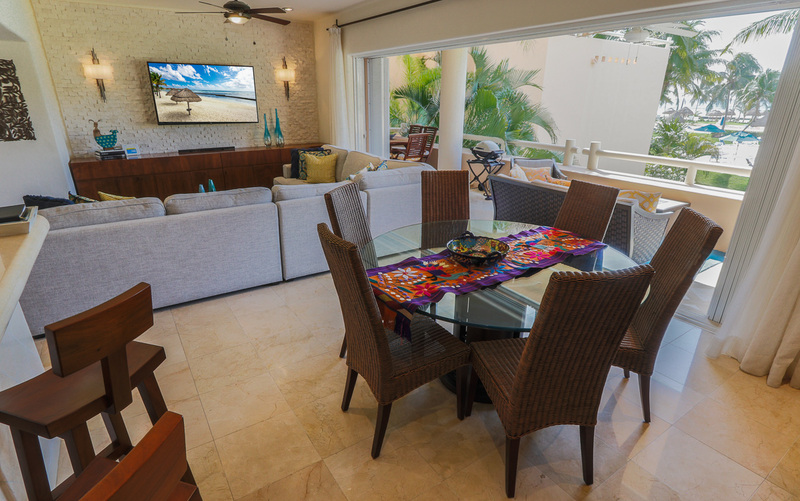 La Buena Vida is lined with marble tiled floors, marble countertops, and furnished with bright, contemporary decor that complements the sparking array of ocean hues outside the window. 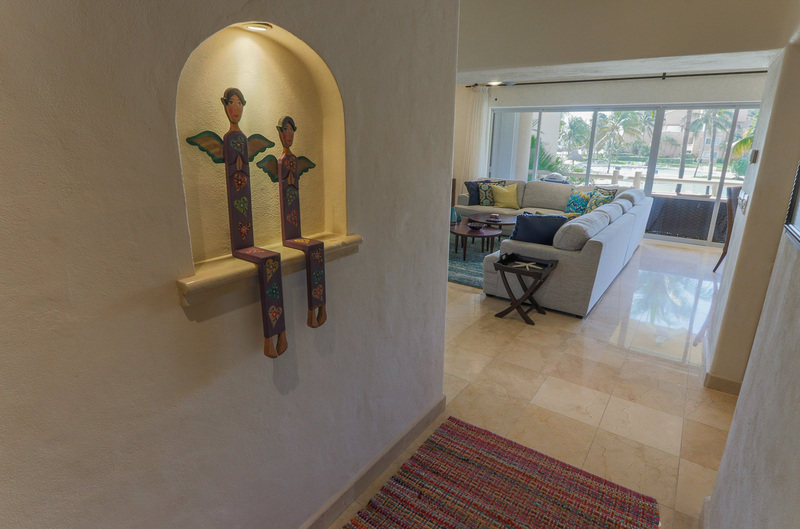 On its walls hang beautifully-framed, original art that reflects the Mexican lifestyle in all of its dazzling colors. 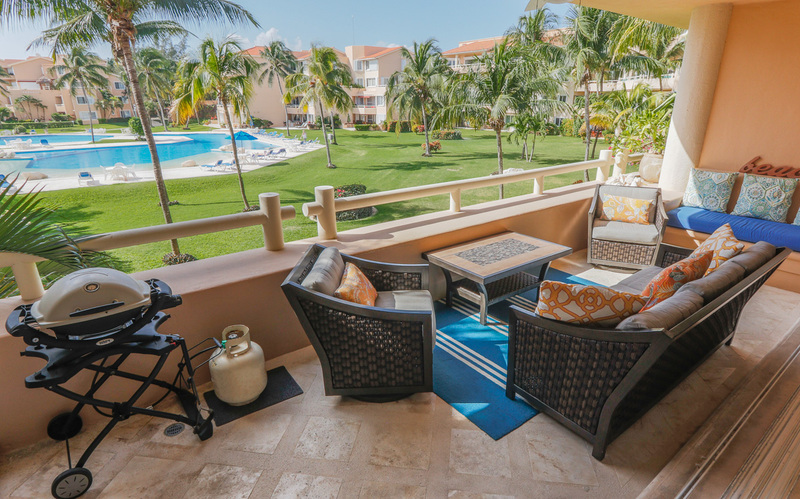 Located in the premier condominium complex in Puerto Aventuras, La Buena Vida sits on the best beach in the area. Lawn chairs are available at the owners' only private beach - all you have to do is bring your beach towels (also provided). Next door is a boutique Omni hotel, and the staff is happy to provide food and drink service to the beach for those of you who like being pampered! 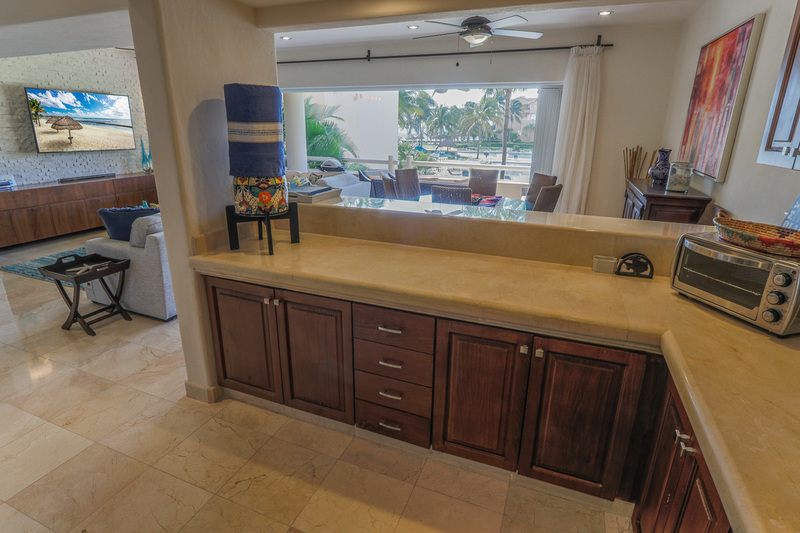 Puerto Aventuras is centrally located and only minutes away from your favorite activity, whatever that might be! 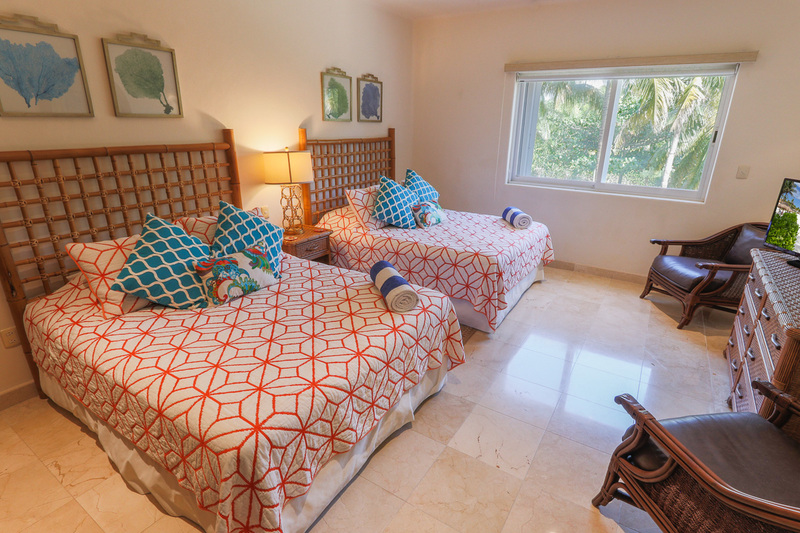 Enjoy swimming in underground rivers or cenotes, driving ATVs, or zip lining at nearby adventure parks (about 20 minutes) or venture to the private beaches in Akumal (10 minutes). The night life and shopping in Playa del Carmen is unparalleled and only about 15 minutes away, and a quick 30 minute ride takes you to the Mayan ruins in Tulum. 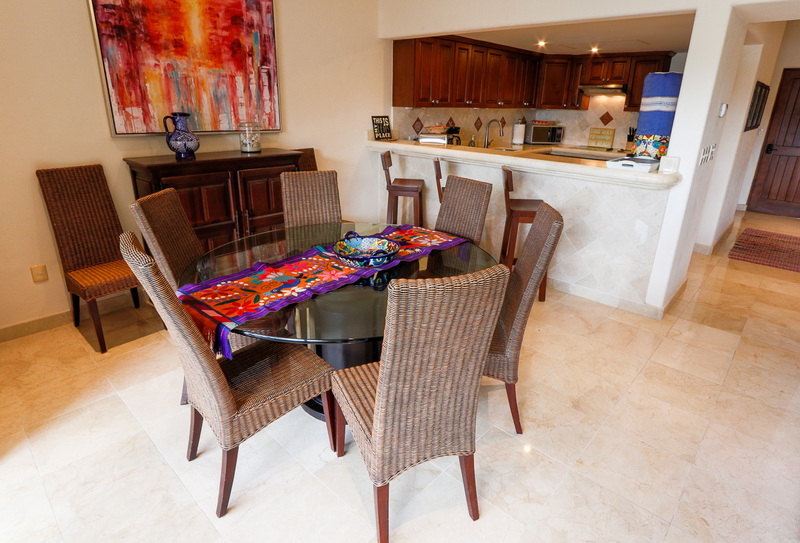 And of course, world class dining and entertainment awaits you in Cancun, which is only 45 minutes away! 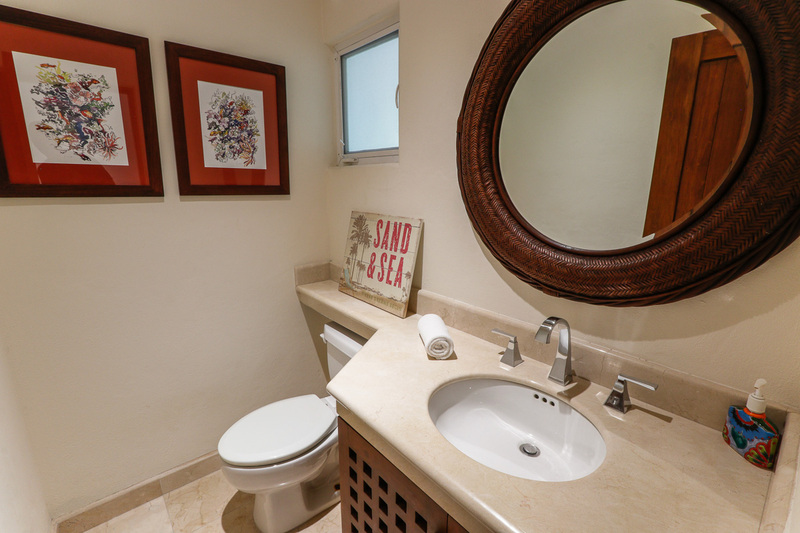 If you want to enjoy the good life, La Buena Vida is the spot you've been looking for! Contact us for more information or to make a reservation. 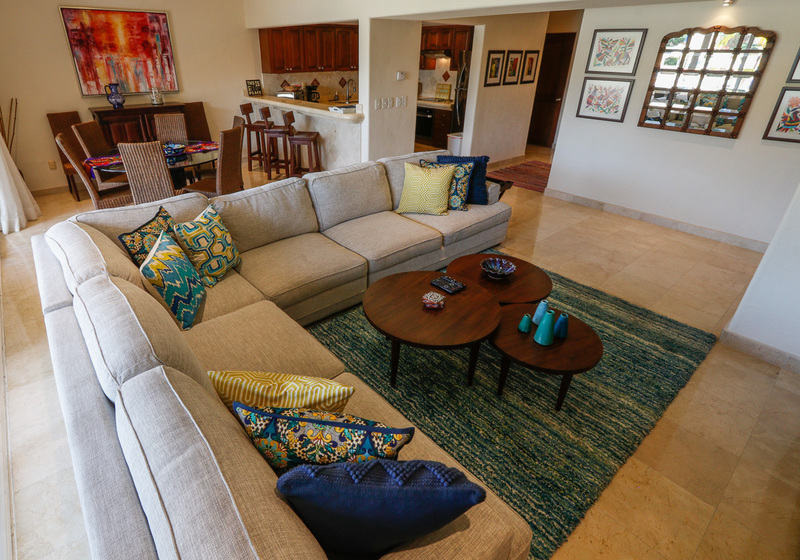 The landscaped grounds at Villa Del Mar offer two very large pools, tennis court and about one acre of private lawn. The private beach has lounge chairs and shade providing "palapas" and palm trees. Beach service (food and beverages) can be obtained from the Omni hotel waiters from the beach "Cabana" bar located just next door. Fatima Bay offers wonderful snorkeling, swimming, walking and just plain old relaxing. The village is a short walk down the sandy beach. 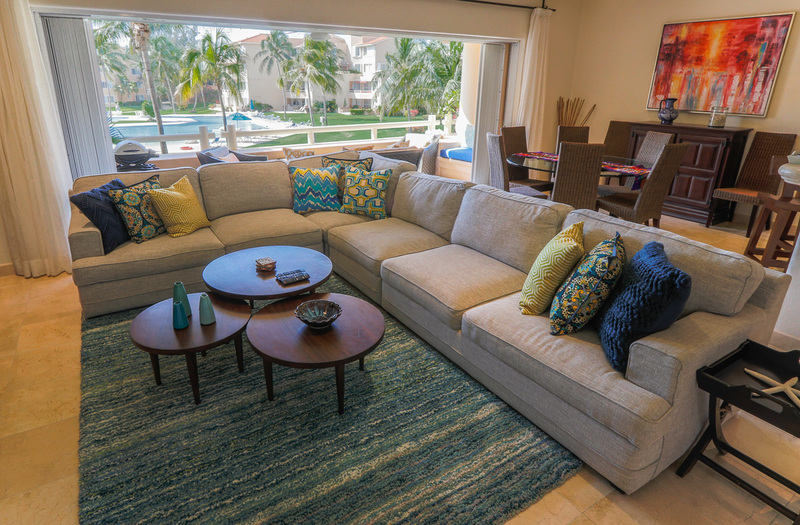 With a number of restaurants, shops, activities and central marina, Puerto Aventuras has so much to offer. Safe for kids to be out on their own yet quiet enough for adults to relax. 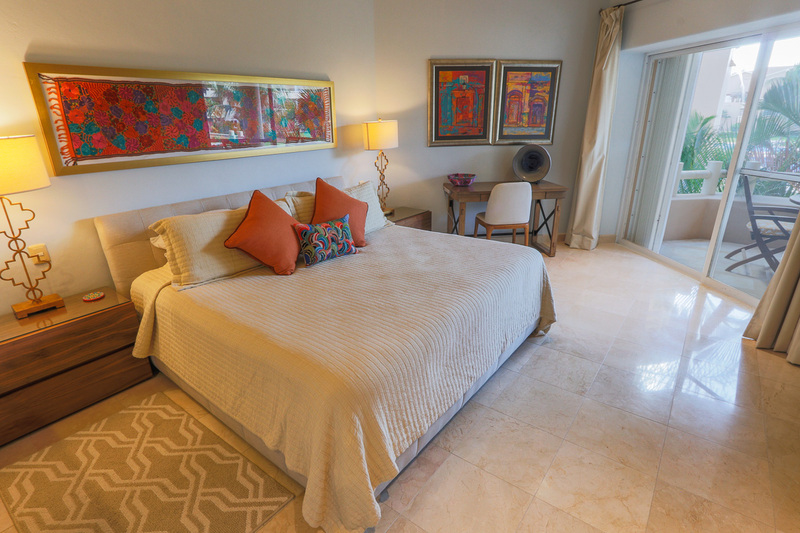 Please see our area information page for more links about the Riviera Maya. Can also be rented as 1 bedroom, please inquire.